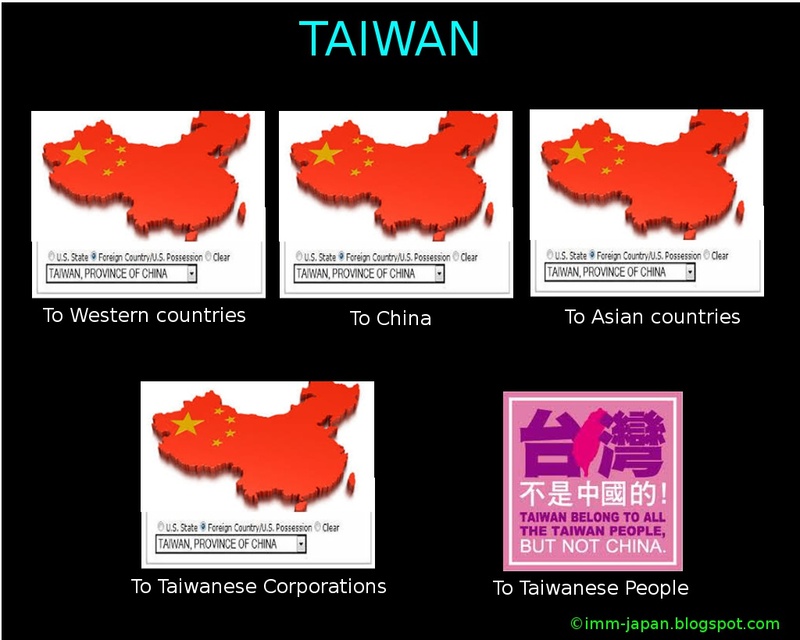 Following the 2 memes that I've created yesterday, I am moving on to TW.. TW is a very unique country, with lots of history baggage and limited international presence.. All because of CN.. Due to the rise (and pressure) of CN, many countries in the world have switched recognition from R.O.C. to P.R.C. and less than 25 countries in the world recognize TW. 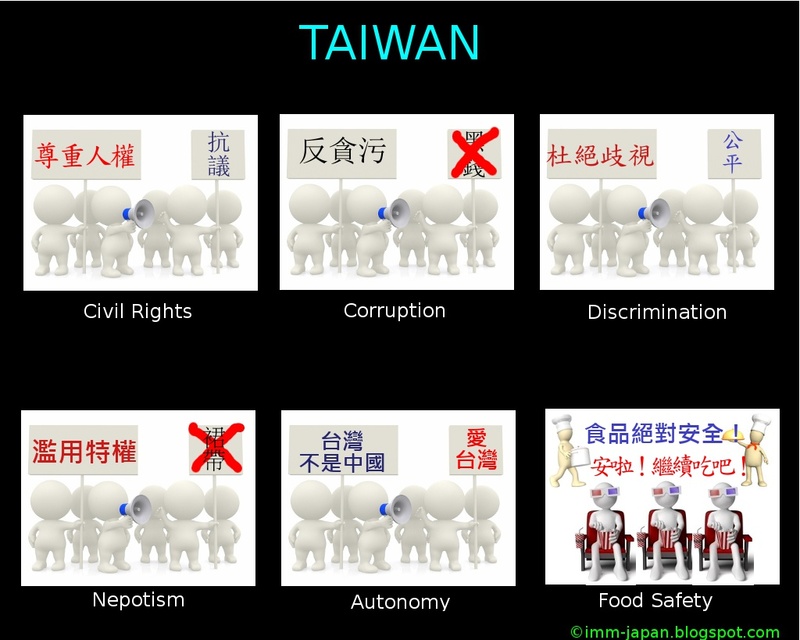 TW is a democratic country. All its citizens are very well-aware of their rights and are not afraid to take to the streets to demand them.. Their civic-mindedness and sense of justice is very strong. Yet, many times I do not understand their source of contention, especially with regards to the issue of food safety. They pride themselves on being different from CN and like to 'condemn' CN for all the toxic/fake food in CN. Yet, they were not outraged enough to stage any protests/sit-ins when so many toxic ingredients are found in their own backyard. I wrote about this a few weeks ago. Thus my second meme..
Top left : Respect Human Rights; Protest. Bottom right: Food products are totally safe; Relax! Let's continue to eat!